From the Tools menu > Edit Settings > Organization Defaults you can control how your printed and emailed receipts will look. Changes made to these settings are also affected to the ePayment receipt settings (Tools > Credit Cards/Bank Account Settings > Receipts) and vice versa. 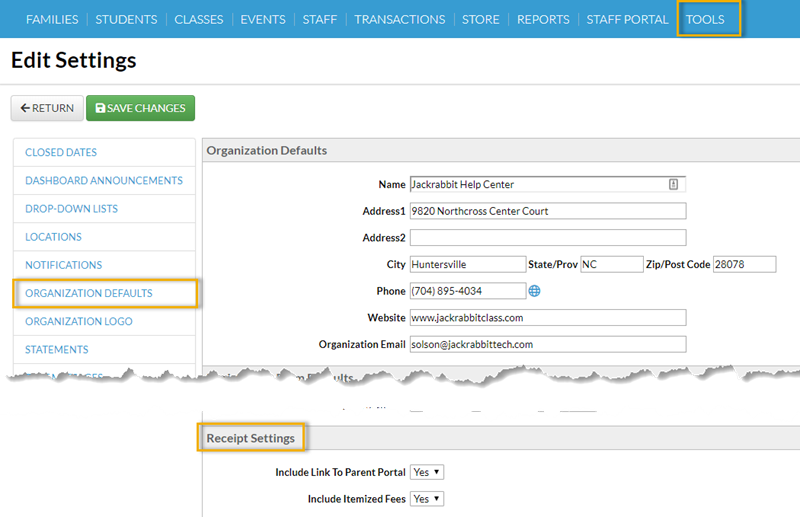 With email receipts that are sent from Jackrabbit you have the option to include a link to the Parent Portal which gives your families quick and easy access to their accounts. 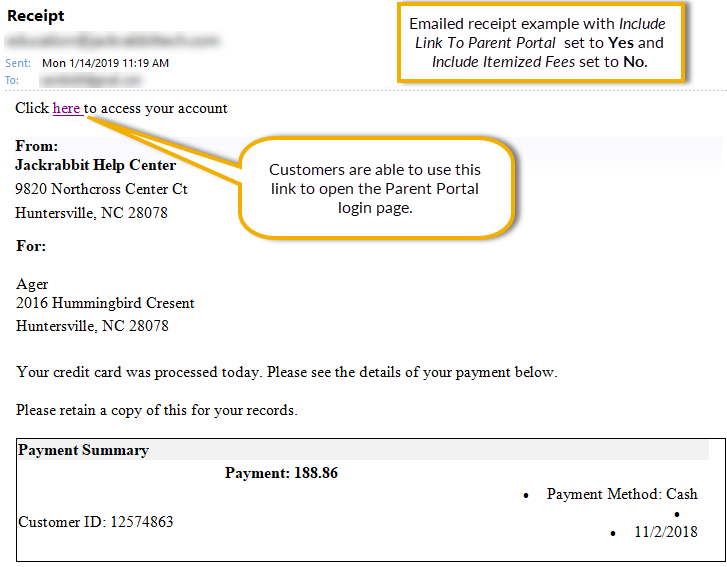 Set Include Link to Parent Portal to Yes to have the link to your portal login page included in the receipt. Set Include Itemized Fees to Yes to have your receipts include an itemized detail of the fees a payment was applied to. 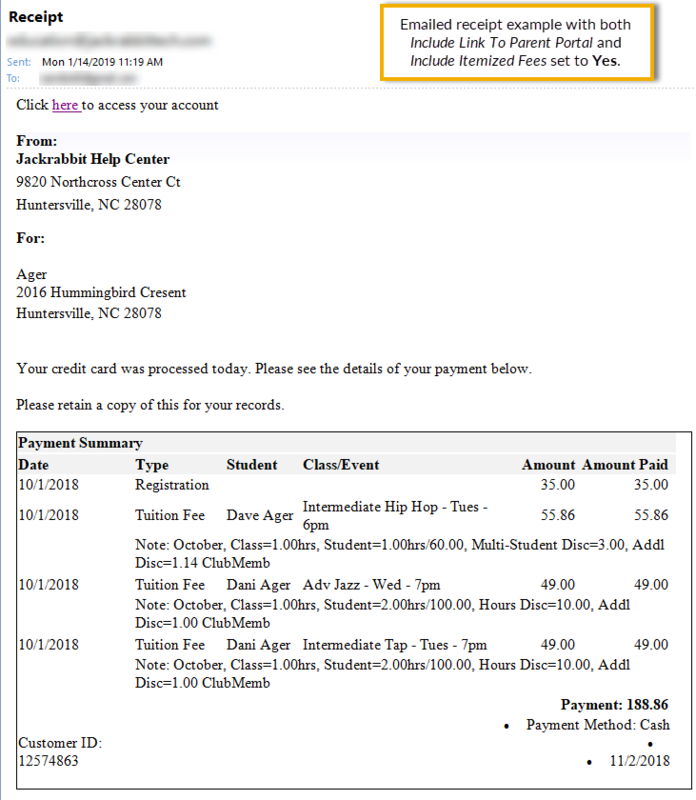 When this is set to No the receipt will only include the payment amount without listing the fees the payment was applied to (see the screenshot above).